Before uncovering allegations of Hollywood bigwig Harvey Weinstein’s sexual misconduct, the New York Times buried a similar story over a decade ago, after he made a visit to the paper and A-list celebrities contacted the reporter. Weinstein, a Hollywood film producer and film studio executive, was fired from the company he co-founded on Sunday, after a New York Times investigation uncovered three decades of sexual harassment allegations last week. On Sunday, reporter Sharon Waxman wrote a piece for The Wrap that said that the New York Times had quashed her investigation into Weinstein’s sexual misconduct back in 2004. In her original report, Waxman tracked down Fabrizio Lombardo, the head of Miramax Italy. She traveled to Italy and discovered that Lombardo knew nothing about filmmaking. He was reportedly being paid $400,000 in less than a year to “take care of Weinstein’s women needs.” At the time, Disney, the then-parent company of Miramax, told Waxman that they had no idea Lombardo existed. Waxman also tracked down a woman in London who was paid off after an unwanted sexual encounter with Weinstein. The report said that she was “terrified” to speak about the incident, because she had a non-disclosure agreement. However, according to Waxman, her story was spiked after “intense pressure from Weinstein,” which involved Weinstein personally visiting the New York Times newsroom and making his displeasure known. Waxman also said that she received calls from A-list actors Matt Damon and Russell Crowe, who vouched for Lombardo. In the end, the Times printed a story about Miramax firing Lombardo without any reference to sexual misconduct. “It's easy to paint everyone in black and white in the 140-word Twitterverse,” Waxman said. On Monday, Clifford Levy, deputy managing editor at the New York Times, issued a response to Waxman’s article, saying that it is “unimaginable” that the story was killed because of pressure from Weinstein. On Thursday, the New York Times reported that Weinstein had reached at least eight settlements with women after being confronted with allegations including sexual harassment and unwanted physical contact. Among the allegations, the report described how Weinstein asked actress Ashley Judd to come to his Beverly Hills hotel room for what she assumed was a meeting, and asked her to watch him shower. On another occasion, the report states that Weinstein badgered a female assistant into giving him a massage while he was naked. “I am a 28-year-old woman trying to make a living and a career. Harvey Weinstein is a 64-year-old, world famous man and this is his company. The balance of power is me: 0, Harvey Weinstein: 10,” Lauren O’Connor, a colleague, said, according to the Times. The Huffington Post later reported that Weinstein took Lauren Sivan, a then-news anchor for News 12 Long Island, on a tour of Socialista, a Cuban-themed club and restaurant of which Weinstein was an investor, and tried to kiss her. When she rejected his advances, Weinstein reportedly told her to “just stand there and shut up.” Then, he allegedly blocked her exit and masturbated into a potted plant in front of her. After the Times reported on the sexual harassment allegations on Thursday, Weinstein apologized for causing “a lot of pain,” and took an immediate leave of absence from the company. “I appreciate the way I’ve behaved with colleagues in the past has caused a lot of pain, and I sincerely apologize for it. Though I’m trying to do better, I know I have a long way to go,” Weinstein said in a statement. Weinstein blamed his alleged behavior on his coming of age in a different era. One-third of the company’s board also resigned, according to the Times. In the hours before being fired on Monday, Weinstein reportedly sent a letter to Hollywood CEOs and other friends, begging them to write letters to the board of directors to convince them not to fire Weinstein. Min later tweeted that Ron Meyer, David Zaslav and Jeffrey Katzenberg all refused to support Weinstein, with one board member telling her there was "no f-ing chance." One big player who refused to respond positively to Weinstein's email plea tells me he replied in essence: "no f-ing chance"
In the aftermath, Hollywood actors, who had previously praised Weinstein, condemned him for the allegations that they claimed they knew nothing about. On Monday, Academy award winning actress Meryl Streep, who collaborated with Weinstein on films like “August: Osage County” and “The Iron Lady,” said she was "appalled" by the "disgraceful" news. “The behavior is inexcusable, but the abuse of power familiar. Each brave voice that is raised, heard and credited by our watchdog media will ultimately change the game,” Streep told the Huffington Post. “I offer my sympathy to those who have suffered, and wholehearted support to those who have spoken out,” Dench added. Other celebrities have also come out against Weinstein, celebrating the women who have come forward as heroic. Stand with @AshleyJudd or give your legs to someone else. What she and others have just done is painful and difficult and triumphant. 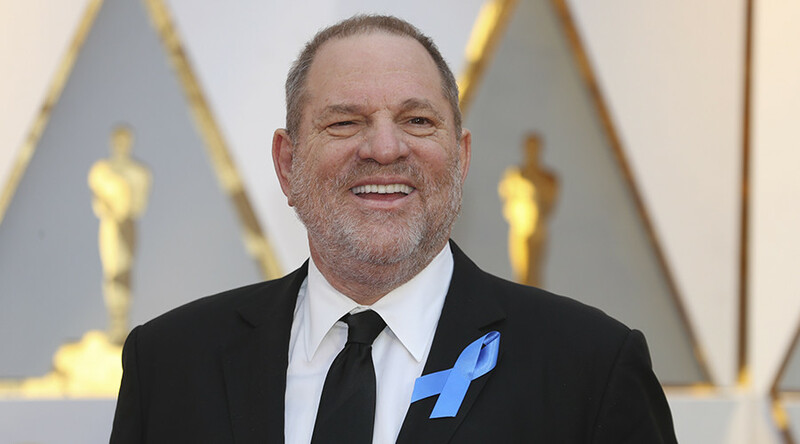 Weinstein has often been seen as a champion of liberal causes. He has donated nearly $600,000 to the Democrats and hosted a fundraiser for former presidential candidate Hillary Clinton in his Manhattan home last year. He has also employed Malia Obama, the oldest daughter of former President Barack Obama, as an intern. He appeared on the White House visitor logs 13 times during Obama’s time in office. In his statement responding to the Times investigation, Weinstein said that he “wants a second chance in the community,” and said that he will channel his anger into going after the National Rifle Association (NRA). “I am going to need a place to channel my anger so I’ve decided I’m going to give the NRA my full attention,” Weinstein said. "I hope Wayne LaPierre will enjoy his retirement party. I'm going to do it at the same place I had my Bar Mitzvah."